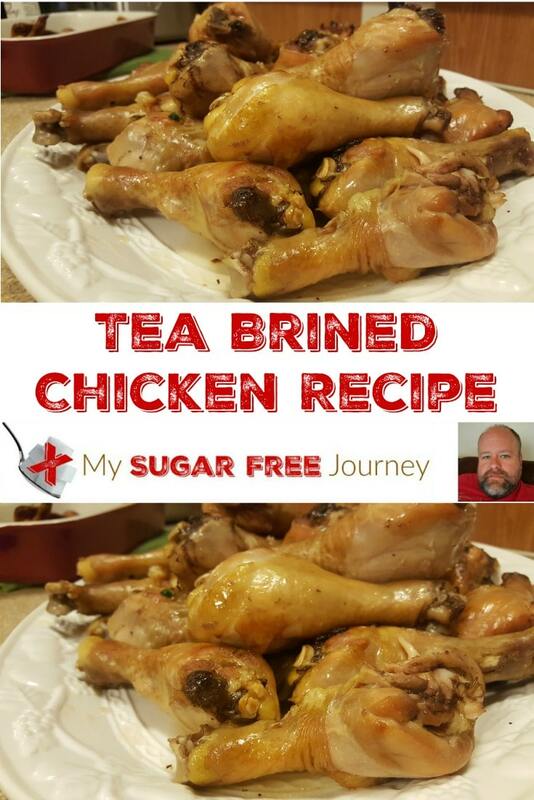 Tea Brined Chicken has become one of my favorite ways to cook chicken. 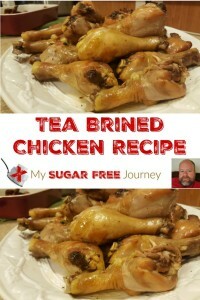 It’s easy to prepare, very inexpensive and easily the juiciest chicken I have ever cooked. I hope your family gets as much enjoyment out of it as my family has! 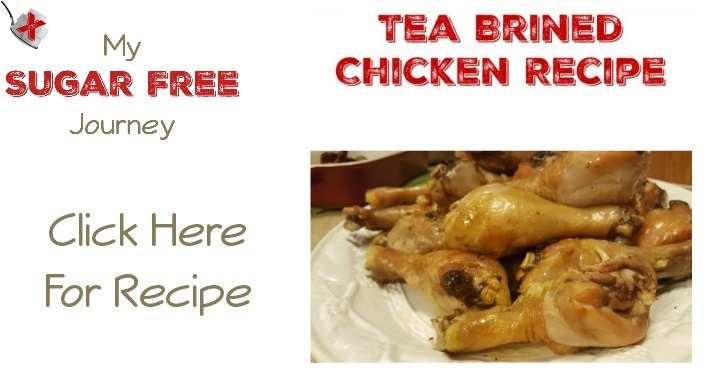 An juicy chicken recipe that is inexpensive and easy to prepare. Is also gluten, dairy and sugar free. Fill a small sauce pan with water and place the tea bags and salt in the water. Bring the water to a boil, reduce heat and let simmer for 3-5 minutes uncovered. Cook on 400 degrees for about 35 minutes. PREVIOUS POST Previous post: 19 Things That Should Be in Your Kitchen When You Go Sugar Free! Pingback: 16 Super Simple Marinades That Will Up Your Dinner Game!